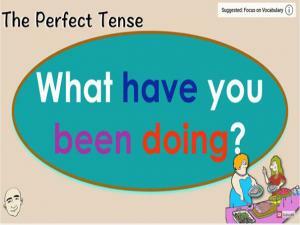 Another fun video showing you how to form and use the perfect progressive tense in everyday conversation. 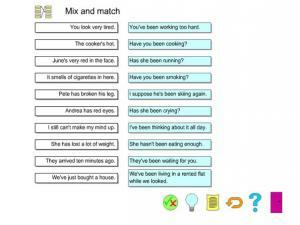 Listen to the sentences and see if you can guess the answer to the questions. The pictures are there to help! Learn to talk about trends and fashion in English. 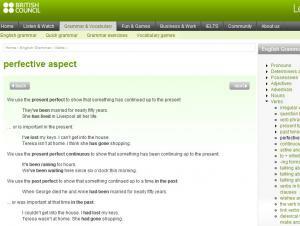 In this intermediate English lesson you will hear two friends talking about clothes. One of the women is very fashionable and the other is asking for advice. You will learn the most common vocabulary for talking about the trends in clothes and shoes. 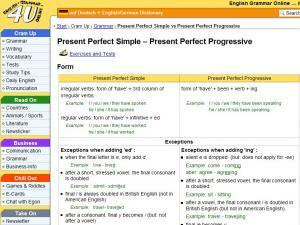 You will also be shown the use of the Present Perfect Continuous. 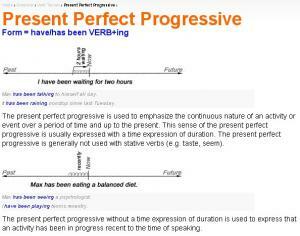 Go through the use and form of the Present Perfect Continuous, then complete the 5 Practice Exercises to check your understanding. 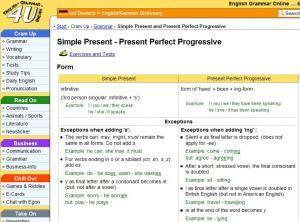 Describes when to use present perfect progressive tense, with timing diagrams for explanation. 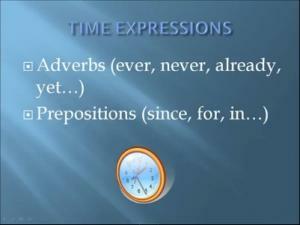 This simple video is a grammar lesson about using the present perfect continuous to ask questions about what someone has done in the recent past or up until the present. 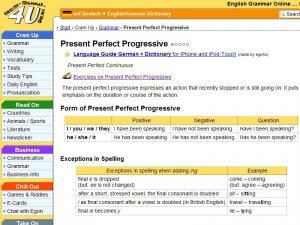 This lesson gives a brief on the form and the uses of present perfect progressive. 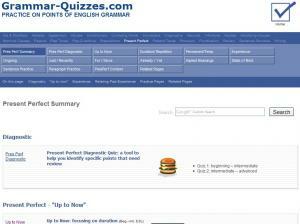 It also gives you lots of practice with 7 different exercises and three levels of tests. 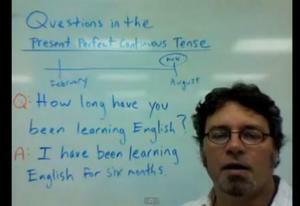 In this video you will learn how to construct the present perfect continuous (or progressive). 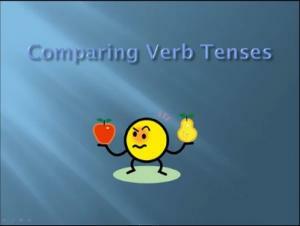 This is a great resource for students who love grammar. 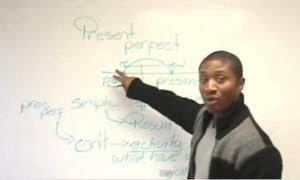 If you want to know "why" as well as "how" to make the present perfect, this video lesson is for you. There are two exercises for practice, as well.